IT'S TIME FOR A NEW YOU! Save on select services today! You have better things to do with your time. And most people aren’t fond of the uni-brow. We can help you find relief. You don’t feel old. Why should you look old? No more shaving, waxing and plucking. Laser hair removal offers permanent hair removal. Put an end to unwanted body hair and facial hair with laser hair removal from Valley View Laser M. D.
Our laser treatment for age spot removal will have you looking as young as you feel! Sun spot laser removal therapy helps erase spots and blemishes caused by years of sun exposure. Our acne treatments get to the source of acne outbreaks for long-term results without costly medications and ointments. We use IPL treatment (Intense Pulsed Light) for the treatment of acne. No surgery needed with safe, effective laser facial vein treatments to remove unsightly veins from your face or legs. Erase unsightly blood vessels, veins and unwanted spots on your face. Med Spas and salons often offer laser hair removal and other cosmetic treatments for the skin much cheaper than at doctors' offices. But when choosing a practitioner to perform cosmetic treatments for the skin, laser hair removal, age spot removal and treatment of acne, safety should be your top concern. 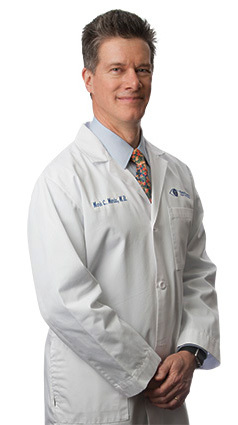 At Valley View Laser M.D., our cosmetic laser treatments and procedures are performed or directed by Dr. Mark Maria, a physician with more than 30 years’ experience. Dr. Maria helps clients select treatments that will meet their goals and guides them through the preparation, process and follow-up to help achieve the results you want and improvements you can see. When it comes to effective cosmetic treatments for your skin, choose a provider with medical expertise. Copyright © 2019 · Valley View Laser M.D.